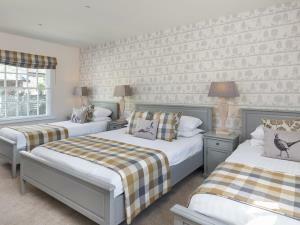 The Kings Head InnA former 17thC coaching inn situated at the foot of Helvellyn in the heart of the Lake District, The Kings Head is surrounded by spectacular scenery with unsurpassed views toward St Johns in the Vale, Blencathra and Skiddaw. Full of old world charm and character with oak beams and inglenooks, roaring log fires in winter, comfortable bedrooms, real ale and award winning food served in two individual restaurants. The Kings Head offers a traditional base from which to explore this beautiful region. 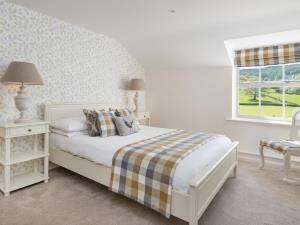 Large en suite family room with one double and two single beds plus space for a cot if required. Rate includes 2 adults and two children up to 11 years of age, plus a baby. Children older than 12 will incur extra charges and classed as adults. Family sometimes limits bookings to 2 or more days.